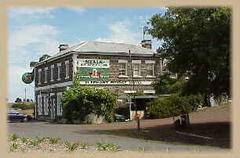 Australia wide, the Bush Inn in New Norfolk, Tasmania, is the oldest continually licensed Hotel operating on the same site and in the same building. (Building 1815, license 29/9/1825). 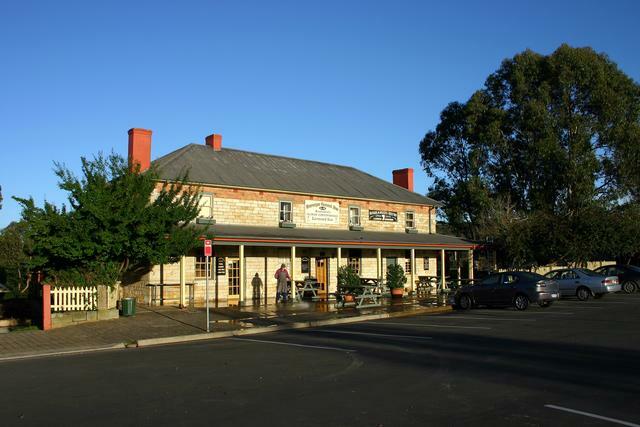 The Surveyor General at Berrima claims the title of Australia's oldest continuously licensed Inn. Established 1834, licensed from 1835. 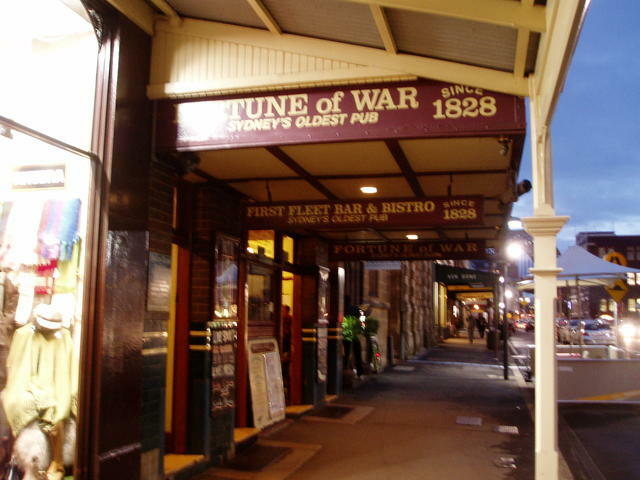 Until closing in around 2005 the Hope and Anchor Hotel, originally licensed 25th July 1807 as the Whale Fishery Hotel was the Hotel operating under Australias' oldest license. The Hotel itself was rebuilt in 1815 to 1817 post dating the Bush Inn. May yet reopen and reclaim that title. 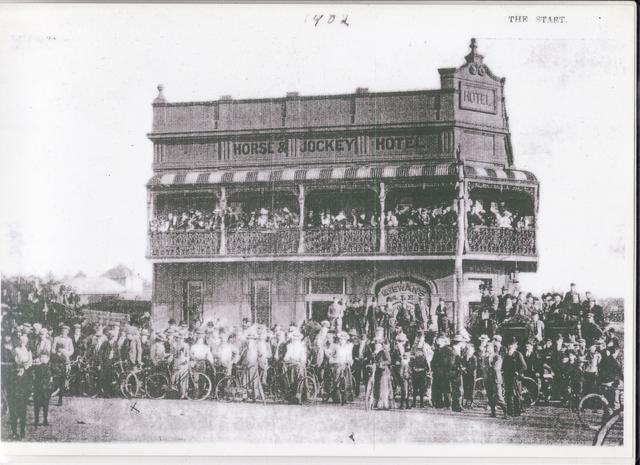 The Horse and Jockey Hotel in Homebush Sydney cannot claim a continuous license or operation, or the same building, it was rebuilt next door. It is however still operating and there are indications of claims to a history back to 1807 as an operating Hotel and has direct first fleet links. The debate still persists, state by state, over the oldest operating license, continuous license, continuously operating license and continuously operating license in the same building. There are many very old Pubs that were moved to new locations. That doesn't discount any claim to the above as far as we reckon. 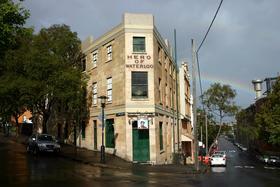 It is likely the patrons were not there for the view and the Pub is widely considered as the "Building". The Brunswick Hotel Hobart claims to be the second oldest continued licensed pub in Australia c1827. Conversation over whether or not a nascent Pub is a Pub clouds the story as well. You do however need some yardstick and that is the full license to operate as a Hotel. For the patron buying "grog" in the late 1700's and early 1800's ,after a hard dusty day, the difference was probably unimportant. Basing discussion on operating "fully licensed" premises is fair enough, we reckon, as this is when the Publican was able to openly promote services as a rest stop for the weary traveler. The true heritage of the Pub after all. 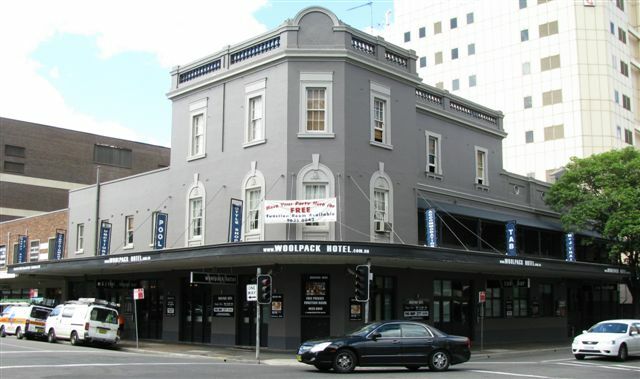 New South Wales is the birthplace of Australian Pubs with the oldest license still trading being the "Woolpack" in Parramatta (April 1796) which at one stage moved across the road. is the "Surveyor General" in Berrima (Building 1834, license 1835). 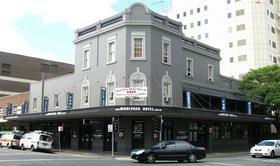 is the "Macquarie Arms" in Windsor (Building - May 1815). continues, however it is most likely to be the "Fortune Of War" (1828). The Lord Nelson also makes the same claim for the same year and may be correct. 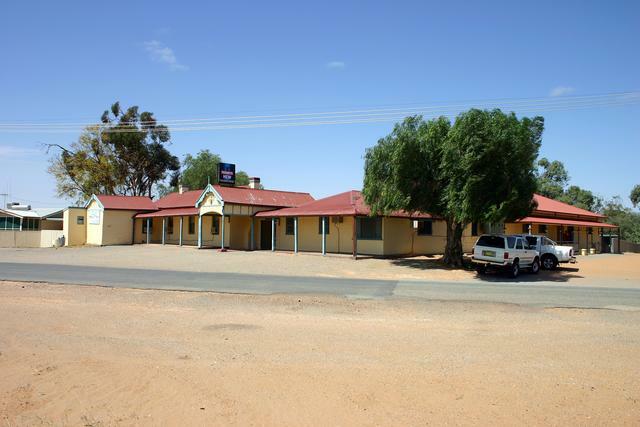 has been continuously licensed since 1838.
in Menindee claims to be the 2nd oldest continuously operating Hotel having opened in 1853. The Hotel recently burnt down and was rebuilt so it probably comes down to your definition of continuous. You could consider that being immediately rebuilt with possibly an interim facility would mean continuous operation is OK.
As to the date, it is resonable to think that there should be other current Hotels pre-dating and operating just due to the number of Pubs that opened from 1834 to 1853. The Harp Hotel Bungendore from 1838. Continuous operation needs to be established though for these Pubs. cannot claim a continuous license or operation, or the same building, it was rebuilt next door. It is however still operating and there are indications of claims to a history back to 1807 as an operating Hotel and has direct first fleet links. 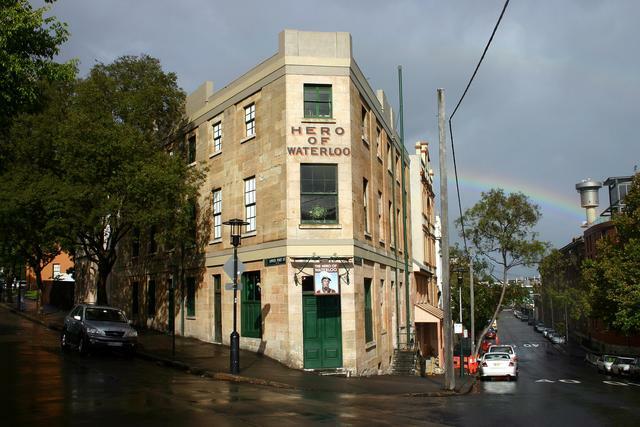 Gary Bell (see Publications) raises the conversation that some records suggest that the Hero of Waterloo was constructed as barracks in 1804, licensed as "The Litte Princess" in 1815 and name changed to the Hero of Waterloo after the victory of the Battle of Waterloo. This would predate the debate between the Lord Nelson and the Fortune of War by 13 years. He also shows that the more commonly held records have the Hero of Waterloo built in 1843/44 and licensed in 1845. Which was more likely? He makes the very good point that.... his research shows that a lot of significant early Government buildings (built by convicts) were intended for Government usage and longevity. In those days there was a predominance of military and a need to house them somewhere. He thinks there are a number of Hotel type facilities that were built for use as military barracks. This would make sense for the Little Princess theory, but it is hard to substantiate without a lot of very dedicated research. Do you have any more accurate information? Up untill Queensland's Statehood in 1859, Queensland's Hotels operated under NSW issued licenses. A John Williams in 1841 was given permit (1) to trade in anthing, 'cept grog and ammo, in what is now South Brisbane .Subsequently he built a long (50 feet) one storeyed building in Russell Street and called it the Captain Piper Hotel with licence No. 1 which was issued in April 1843. 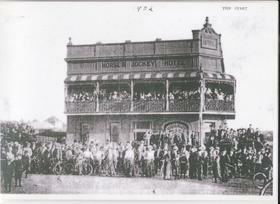 This hotel was situated on the main track from Ipswich to Brisbane via Boggo (Annerley) Road and traffic went over the river by the Russell Street ferry. 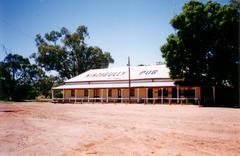 It thus was Queensland’s (Moreton Bay Settlement) first hotel and the supplies of beer were brought from Sydney. The "Queen's Arms" hotel in 1849 in Ipswich(Claremont) is probably Queensland's next licensed Hotel and oldest operating Hotel. The original building was demolished in 1896 and replaced by the current Hotel. In bar conversation the name "Oriental Hotel" back to 1842 arises but without written history that we can find. Claims to oldest existing Pubs also include the Grandview Hotel Cleveland Point, built in 1851, operated as a boarding house and licensed later. also The Grandchester Hotel licensed prior to 1860. The Royal Hotel in Leyburn claims the oldest continuous license with the Pub being built in 1863. With clarification of the actual license issue date it may well take the title. The first Hotels to be issued a Qld License were in 1868 in Gympie when a Gold strike by John Nash narrowly saved Queensland from bankruptcy and statehood resulted. The Appollonian at Boreen Point which was moved from Gympie is seemingly the oldest operating Qld issued License. 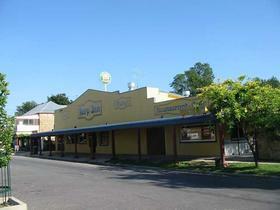 When I was in Gympie I got involved in trying to find Queenslands first Qld licensed Pub. Which had to have come from Gympie as the home of statehood, the town that saved Qld with its gold find, and was issued the first licences. After chatting with the locals and Publicans in the 13 existing Pubs I found that the first 2 licensed Pubs had been apparently physically moved from Gympie and tracked the Appollonian to Boreen Point only to find that it was license number 2. So spent a great few days there trying to research where license No 1 finished up whilst enjoying the hospitality of the Hotel. 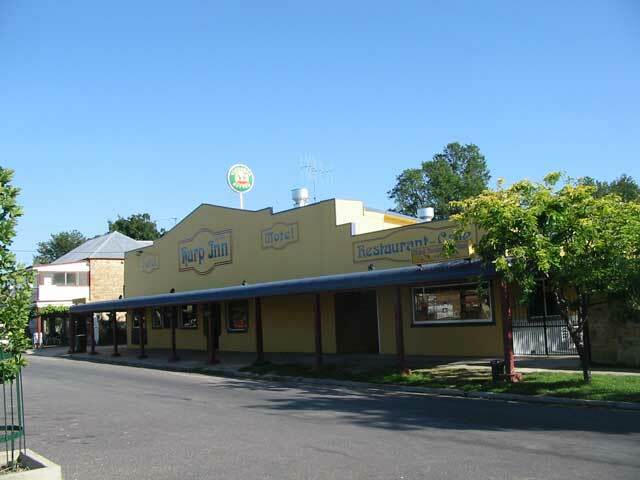 I never did track down Pub Lisc 1, Perhaps it may well be the Golden Age Hotel that is still open in Gympie that holds license 3 but may possible have held license 1 and it was re issued. A long shot though. There were 2 trails of a story that the first license was associated with a Pub that was in fact physically moved to a new country location to await a railway and then to a second city location. After the first move it was reportedly called the St George Hotel. The history on this is shaky at best but coming from two different sources, sometimes where there is smoke there is fire. So for us it is still one of the great unsolved questions of Australian Pubs. claims to be Queensland's oldest hotel in it's original condition and can be found in it's original position on the banks of the Moonie River. The Nindy also has some claims to the title of oldest continually licensed Pub. The licence was issued in 1864 after operating as shearers accommodation for the Nindigully Station. 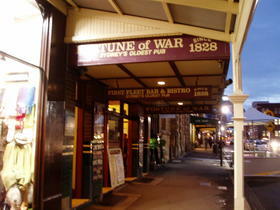 It certainly is a classic Qld Pub and well worth a visit. 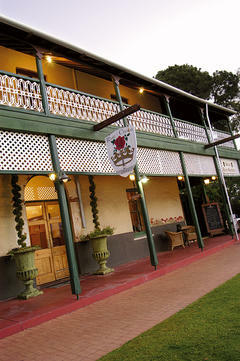 on the Darling Downs is one of Queensland's oldest Inns and is testament to how people lived in the 1860’s. The first Inn, a slab and shingle building, was erected in 1847, but was replaced in 1859 by the one which still stands on the site today. It is currently being restored by the national trust. The first licenses were issued in 1836 and many more to 1843 but it is probable that none before 1842 still operate. The Merrijig Inn website claims The Merrijig Inn, Victoria's oldest Inn. Circa 1841 puts it there-abouts but that date is not confirmed with us. 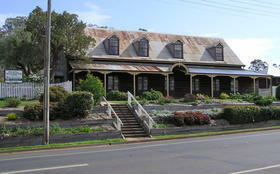 The rugged Port Albert Hotel, licensed in 1842, claims to be the oldest pub continually in operation in Victoria and in some literature the actual oldest Pub still operating. Opposite the Yacht Club, with a view of the jetty, the hotel was originally constructed from prefabricated timber, though the current brick structure dates from 1858. "People tell me that the oldest pub in Victoria is the Caledonian in Port Fairy. This pub is also known as "The Stump" and has been continuously licensed since 1844, and that should beat any existing pub in Victoria. It is a great pub which not only looks old, it feels old. It's called the stump because they didnt finish building the upstairs section , hence there are stumps poking up from the floor"
The hotel was established in 1842 as the Commercial Hotel and is still trading under the oldest continuous licence issued in Victoria. Despite the pub burning down and being rebult in the same spot in 1890. Hi! 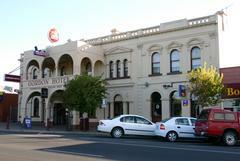 We recently had a Xmas in july dinner at the Elephant Bridge Hotel in Darlington-Victoria which is situated on the Hamilton highway between Geelong and hamilton and I believe this could be the oldest standing and still operating hotel to exist today. The furnishing and decor,the stairs,carpet and table with chairs still there. On the wall were pictures of the owners dating back to 1882 on a wedding day and also 4 planks of timber bearing the hotel name in old english style writing. 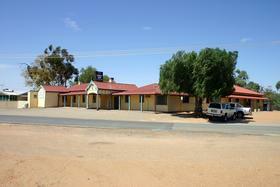 Hotel was erected in 1842 making it 165 years old, so it could possibly be the oldest in Victoria. The Frenchman's Inn Hotel wasbuilding commenced in 1839 by Frederick Jean Duverney completed in 1940, first licenced 24 April 1841. The current Inn is built on the site of the original Cressy Pub so has links to one of Vics oldest Pubs as being on the same site continuing the name. Story has it the Pub was delicensed for a year when the original owners son went for drunken horse ride through the town. This probably cost the Hotel the claim of Victoria's oldest continuous license or currently trading license. May be the oldest currently trading license if the license was only suspended and re-issued under the same number. This is unlikely. 61 Bentinck Street, Portland Victoria. A huge state where Pubs appear like an oasis after a day's travel. The London in Albany is also one of WA's oldest Pub. 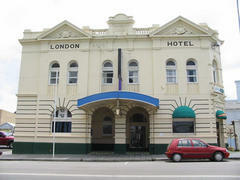 First built in 1856 the London was rebuilt after a major fire in 1909. The pub has been maintained in the old pub style, providing a historical atmosphere. If we haven't got your local yet, please send us a photo or some details so that we can share it with other Pub travelers. 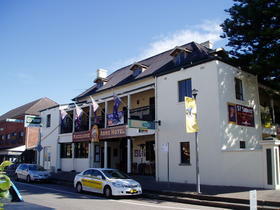 Australia wide, the Bush Inn in New Norfolk, Tasmania, is the oldest continually licenced hotel operating on the same site and in the same building. (Building 1815, license 29/9/1825). Tasmania is well known for its natural beauty, mountain and forest drives and cosy hospitable Pubs. 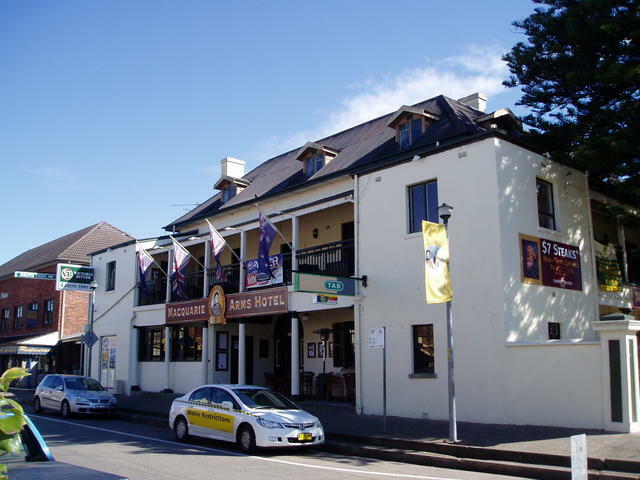 Until closing in 2005 the Hope and Anchor Hotel, originally licensed 25th July 1807 as the Whale Fishery Hotel was the Hotel operating under Australias oldest license. The Hotel itself was rebuilt in 1815 to 1817 post dating the Bush Inn. The Hotel reopened circa 2013. The Publican lays claim that it is still the oldest Pub as the license was kept going even though the Pub was closed for a time. If we haven't got to your local yet, please send us a photo so that we can share it with other Pub travelers. 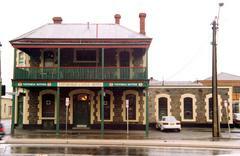 The Cornwall Hotel Now the Batman Fawkner Inn was established in 1822 and is the oldest brick building in Tasmania. 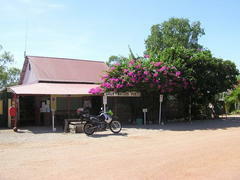 The Daly Waters Pub holds a licence that has been in continuous operation since 1938.